One of the most exciting projects people take in adulthood is searching for a dream home. Even if it’s simply a starter home, it’s one of the benchmarks of putting all the key pieces of a happy and fulfilling life together. If you are tingling with anticipation at the thought of turning the key to your first home, it’s important to keep in mind that there are bad actors out there ready to take advantage of your bright-eyed enthusiasm. Identity theft and fraud are real threats that you must keep in mind while planning for all aspects of searching for, purchasing and moving into your new home. It is important to find a real estate agent who not only understands his or her market, but you want someone in your corner you can trust. The Agent Harvest notes that choosing the right realtor is as important as choosing the right legal professional or financial advisor. The fact that your home search will involve sharing valuable financial and personal information with your real estate agent means that you must form trust to make sure they are true to their word and will help you avoid any scams, schemes or a shoddy home investment. 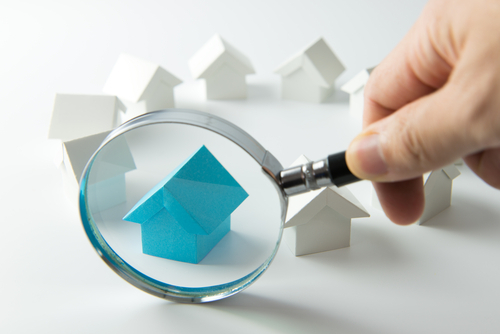 A reputable and committed real estate agent has already done their own vetting of key players like appraisers, surveyors and inspectors so you can rest easy. Well, as easy as anyone can rest during a house hunting expedition. Using the internet for home searches is one of the highlights of its existence. You can surf various real estate agencies’ websites to take virtual tours of local homes that serve as eye candy. You can also learn some basic facts about homes that truly interest you before stopping by for a Sunday Open House session. Use the latest version of your computer’s operating system and your chosen web browser. Search for forum discussions and reviews about websites you want to visit if you feel concerned. Ask whether email recipients’ connections are secure when they request that you send sensitive information. While there are many things you can do to stay proactive in your online home search activities, hackers consider invading your privacy a full-time job. Before launching your house hunting project, you may consider investing in an identity theft protection plan like Lifelock. Identity alert notifications are essential if there is any suspicious activity regarding your personal information. Lost wallet protection keeps you safe in case, with all of your errands, you misplace your wallet that is chock full of credit cards, driver’s license and more. Black market website surveillance services help you avoid the dark corners of the internet during your home search. 24/7 live member support means you never have to wait to get questions or report incidents. Your house hunting search will take up a great deal of your time and mental focus, so you want to make sure you’ve set up some solid protections from the start. By making sure you have protected your identity in the real world and online, you’ll put yourself in great position to launch your property search with far less worry.